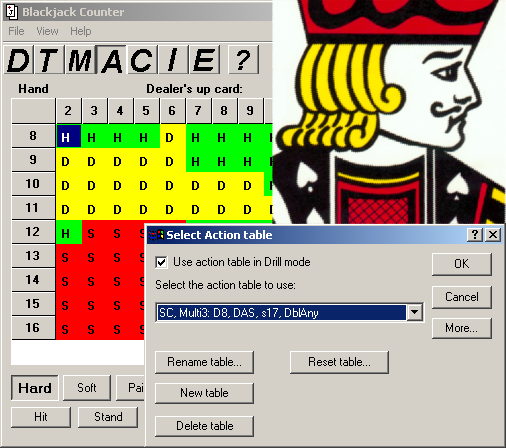 Blackjack Counter has every feature of Blackjack Mentor for Windows. 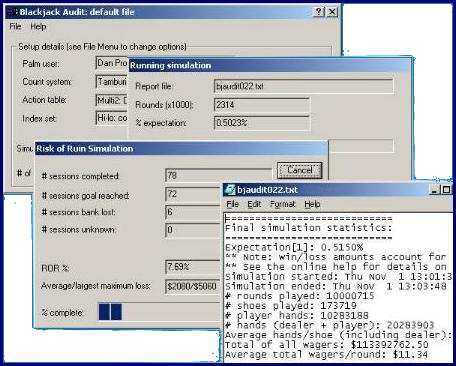 Two new modes include Count and Index, where you can fully specify the system parameters, including card values, bet ramp, index values, insurance numbers, and IRC. Balanced and unbalanced count systems are supported, as well as run count, true count, and even half deck true count. Even fractional card values and indices are supported! Extensive on-line help provides a complete introduction to basic strategy and card counting, as well as feature-by-feature documentation. With the popular built-in count systems, there's nothing else you need to get started! Card counting is much simpler than you might think, and is quickly mastered with the superior drills and tests in Blackjack Counter.